Worthy rerelease of one of John's best albums. May You Never single on CD at last. The seven bonus tracks are mainly interesting alternative takes. These prove that the right choices were made for the original album back in 1971. The CD is printed in Island pink label design. This is not quite correct as Bless The Weather originally had a pink rim label. Walk To The Water (take 3, 3:34) with some introductory studio sounds that demonstrate the spontaneity of the recording. The tablas are low in the mix. Bless The Weather (take 4, 5:37): almost the same as the original, mainly different in the outroll and the studio banter in the beginning. Back Down The River (take 1, 2:44): more prominent echoplex guitar in the background. Go Easy (take 1, 4:39): acoustic guitar only. Glistening Glyndebourne (take 2, 7:48): different take with slightly (15 seconds) longer intro. Head And Heart (band version, 10:17): recorded 17 May 1971 at Sound Techniques, Chelsea and previously unreleased. Acoustic band version resembling the original track but played twice. Light Brazilian touch by soft and rather lame percussion. May You Never (single version, 2:45): releases as Island WIP 6116 in November 1971; previously unreleased on CD. Bumpy rhythm and double vocals with a sax solo in the middle. 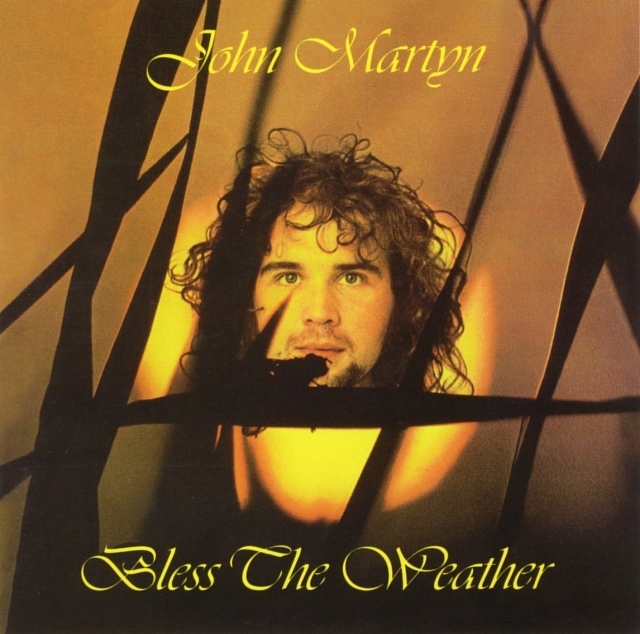 Produced by John Martyn and John Wood for Witchseason Productions Ltd.
"Universal would like to thank Ian Barnett, Iestyn David, Daryl Easlea, Andy Griffin, John Hillarby, Mick Houghton, Liam Moore, John Scott, Theresa Walsh and John Martyn"